Below is a press release we released earlier this morning regarding Christopher O’Riley’s contract. This is a big change, and we welcome you to submit questions or feedback at info@fromthetop.org, or via Facebook at www.facebook.com/fromthetopfans. From the Top announced today that the organization will not be renewing host Christopher O’Riley’s contract for the 2018–2019 season. O’Riley, who has hosted From the Top for nearly 20 years, made his last recording on June 5, 2018. Known for performing piano arrangements of music by Radiohead, Elliott Smith, Pink Floyd, and Nirvana alongside traditional classical repertoire, O’Riley is currently appearing in the twice-extended Off-Broadway smash hit, Symphonie Fantastique, playing through September 2 at the HERE Arts Center in New York City. Beginning September 9, From the Top will welcome a series of guest hosts, including alumni of the program, to interview and accompany the young musicians who are featured. 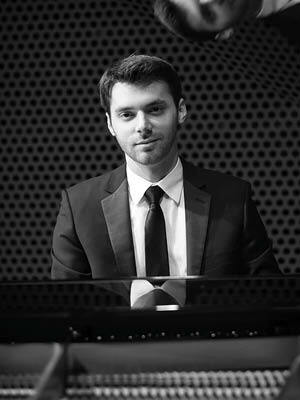 The first such host will be From the Top alumni pianist Peter Dugan. Dugan appeared on From the Top Show 158 in April 2007, at the age of 18. Over the last 11 years, he’s appeared as a soloist, recitalist, and chamber musician across North America and abroad. Prizing versatility as the key to the future of classical music, Juilliard-trained Dugan is equally at home in classical, jazz, and pop idioms. His debut last year with Michael Tilson Thomas and the San Francisco Symphony was described by the Los Angeles Times as “stunning.” He is a founding creator and the pianist for Operation Superpower, a superhero opera for children. Thank you for your support and for being a listener.